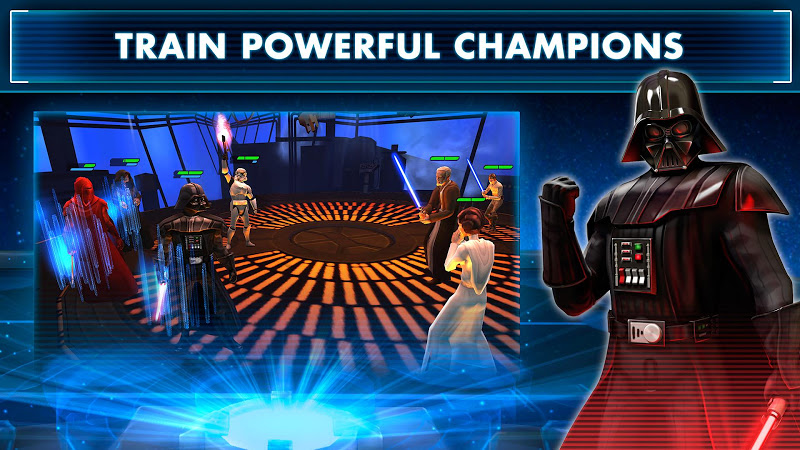 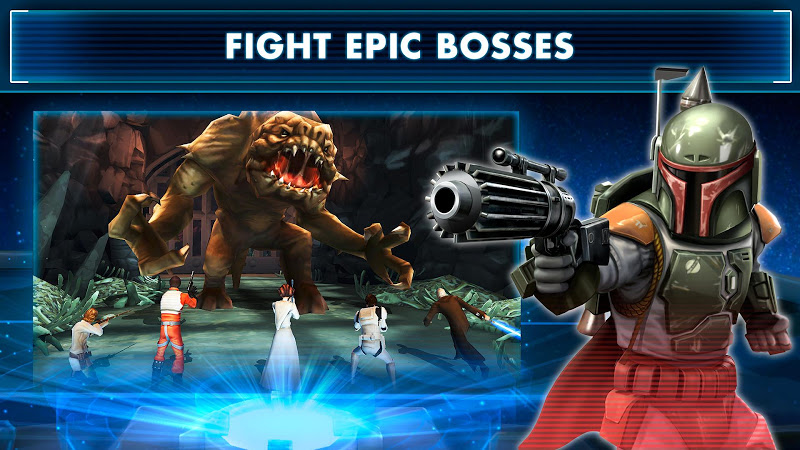 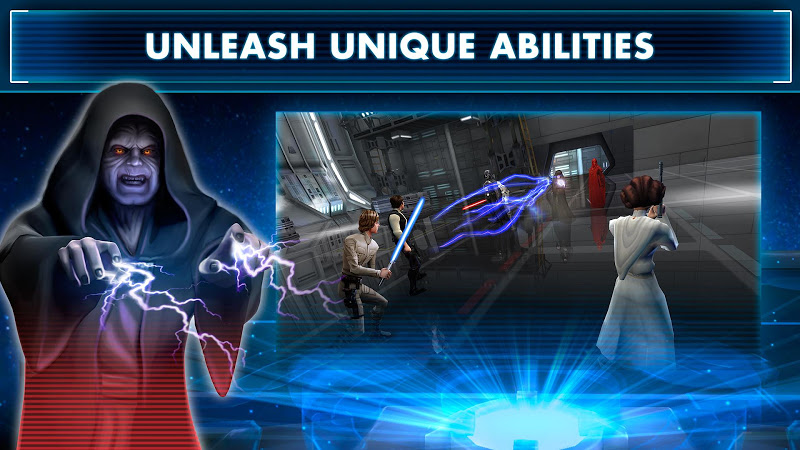 It's a role-playing action-adventure game based on the Star Wars saga. 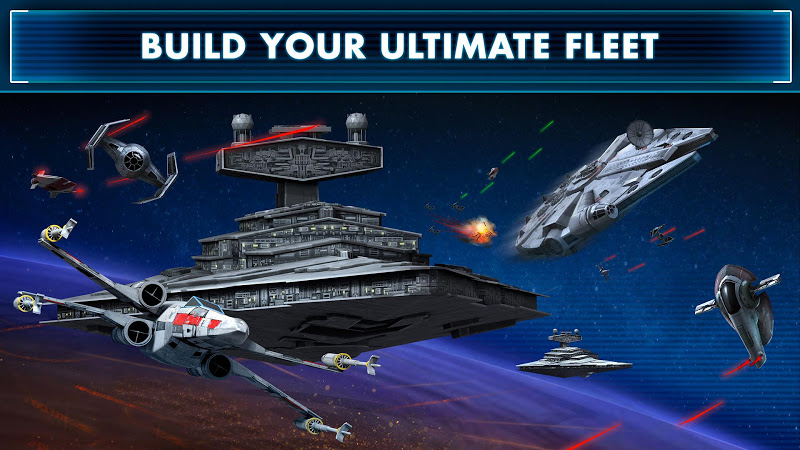 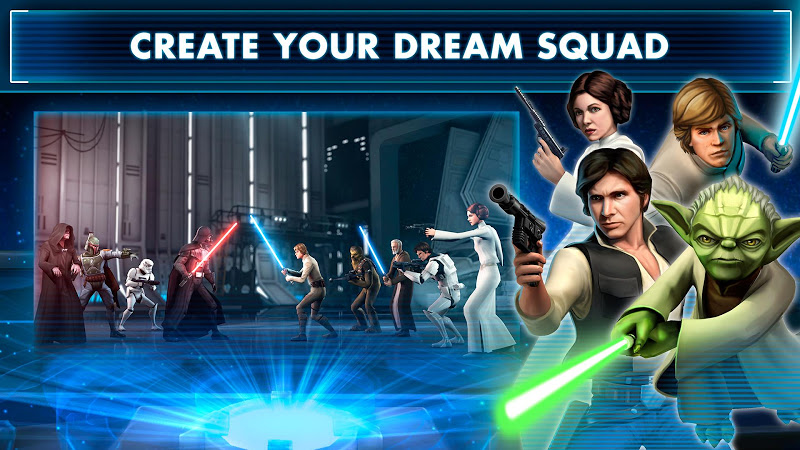 It lets you customize your squad by picking a character from every Star Wars era. 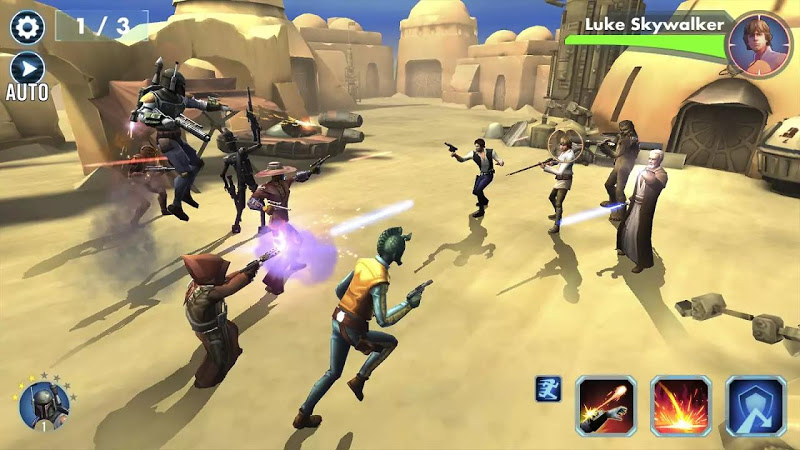 There are also turn-based battles, boss fights, character upgrades, create strategies by picking teammates with complementary skills, and so on.